He calls it the "world’s most advanced EV." If competition drives innovation, a crowded electric vehicle (EV) market may be the best way to save the environment. One of the latest competitors to enter, Henrik Fisker, just announced a new electric car that may instigate an innovation war that leads to the next wave of cool, high-performing — and most importantly — climate friendly EVs. The EMotion — the luxurious sibling to the as-yet-unannounced mass market design — ostensibly has a range of 643 kilometers (400 miles), a not insignificant improvement on the 563 kilometer (350 mile) range of Tesla’s Model S. With a top speed of 259 km/h (161 mph) and a nine-minute charging time, the EV lays down a serious benchmark for Tesla. Fisker is best known for designing some of the most iconic luxury car models in history, including ones that were used in James Bond films. The EMotion is the first car to be produced by his EV company, Fisker Inc. Although details concerning the vehicle’s price, launch date, and autonomous capabilities have not yet been revealed, the EMotion’s announcement is a welcome update for the people who have been waiting with baited breath to see what the car would look like and how it would compare to Musk’s designs. 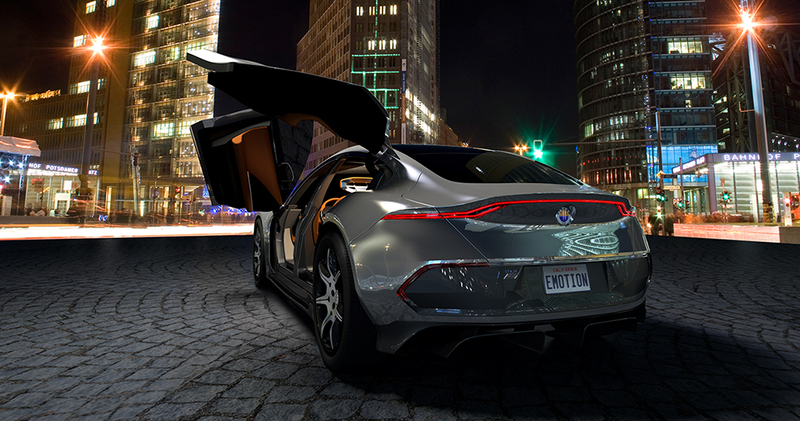 The Fisker EMotion. Image Credit: Fisker Inc.
Electric cars are a pivotal part of the global fight against climate change, and the efforts of several car manufacturers — including Toyota and Porsche — to make them faster, sleeker, and more luxurious are helping EVs break into the supercar sector of the automotive market. Once there is an EV to meet the taste and desires of every driver, we can start to really phase out the vehicles’ gas-guzzling counterparts.